Tragically, the total number of fatalities in these accidents was 697. Fortunately, technology is available and is in the process of being implemented which will prevent some of these train-related incidences. The technology is Positive Train Control and it is designed to automatically stop or slow a train before certain accidents occur. Positive Train Control can help prevent derailments, collisions, switching errors and track route errors. 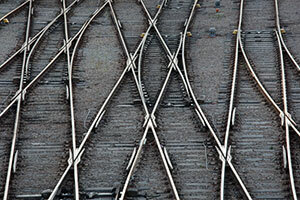 By federal law, railroad companies are required to implement Positive Train Control by 2015. However, a bill has been introduced to extend the implementation deadline to 2020. If the extension is granted, thousands of innocent lives will be lost in train accidents that could have been prevented. If you or a loved one has been injured in any type of train accident, one of our award-winning lawyers can help you recover the compensatory damages and, if appropriate, the punitive damages you and your family deserve. We handle all train accident cases on a contingency basis which means we only get paid if we recover money for you. And because we advance all case expenses, you are never out of pocket any money to pursue your case. To schedule a free, no-obligation consultation, call us anytime at 615-742-4880 or toll-free at 866.812.8787 or simply fill out this form and we will call you.